features Italian collar and stylish fitted back. Crinkle nylon fabric is reinforced at all stress points for long life. Short sleeves with two large hip pockets and one breast pocket. Available in nine colors. 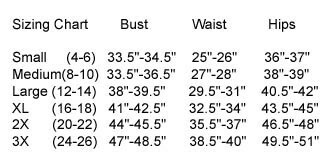 Refer to sizing chart below. Black, Burgundy, Navy Blue, Light Blue & Dark Green.